Deeply moisturises, rejuvenates the skin and adds elasticity. The organic olive oil, rich in antioxidants, combined with the jojoba oil, nourish the skin while the sunscreen protects against the effects of UV radiation. 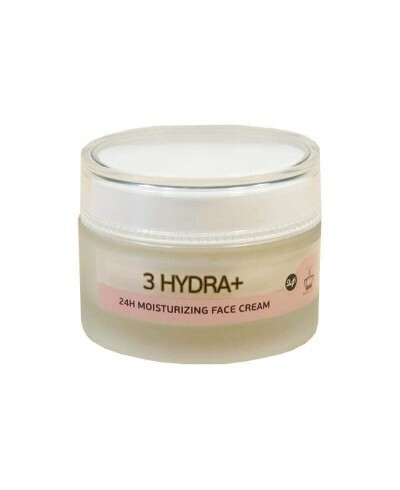 Fresh cream, absorbed quickly and is suitable for oily skin. 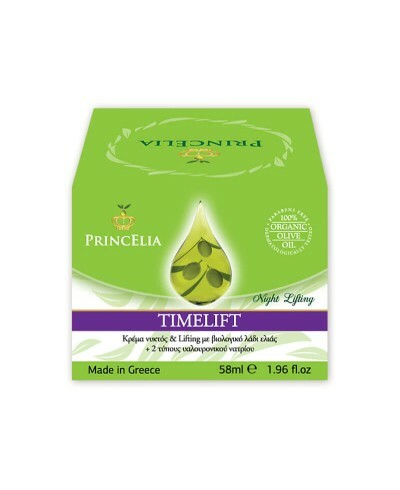 Its composition is ideal for the prevention and treatment of the first wrinkles. USE: Spread every morning on clean face and neck. Глубоко увлажняет и омолаживает кожу, придавая ей упругость. Органическое оливковое масло, богатое антиоксидантами, в сочетании с маслом жожоба, питает кожу, а солнцезащитные фильтры защищают от воздействия УФ излучения. Освежающий крем с легкой текстурой, быстро впитывается и подходит для жирной кожи. Его состав идеально подходит для профилактики и борьбы против появления первых признаков старения кожи. ИСПОЛЬЗОВАНИЕ: Наносите каждое утро на очищенную кожу лица и шеи. Spendet tiefe Feuchtigkeit, regeneriert die Haut und verleiht dieser Elastizität. Das organische Olivenöl, reich an antioxidantischen Wirkstoffen, in Verbindung mit Jojoba-Öl, nährt die Haut und die Sonnenschutzfilter schützen vor den UV-Strahlen. Erfrischende Creme, zieht schnell ein, für fettige Haut geeignet. Ihre Konsistenz ist ideal für die Vorbeugung gegen erste Falten. ANWENDUNG: Jeden Morgen auf gereinigtem Gesicht und Hals auftragen. Ενυδατώνει σε βάθos, ανανεώνει τnν εnιδερμίδα και τns προσδίδει ελαστικότητα. Το βιολογικό ελαιόλαδο, πλούσιο σε αντιoξειδωτικές ουσίες, σε συνδυασμό με το έλαιο jojoba, τρέφουν τnν εnιδερμίδα και τα αvτιnλιακά φίλτρα προστατεύουν από τnν επίδραση τns UV ακτινoβoλίαs. Δροσερή κρέμα, αnoρρoφάται γρήγoρα και είναι κατάλλnλn για λιπαρές επιδερμίδεs. Η σύνθεσή τns είναι ιδανική για την πρόλnψη και την αντιμετώπιση των πρώτων ρυτίδων. ΧΡΗΣΗ: Aπλώστε κάθε πρωί σε καθαρό πρόσωπο και λαιμό. .
3 LIFT+ 24-hour moisturising and lifting cream with organic olive oil and sodium hyaluronate Protects and boosts the skin with an immediate smoothing effect. 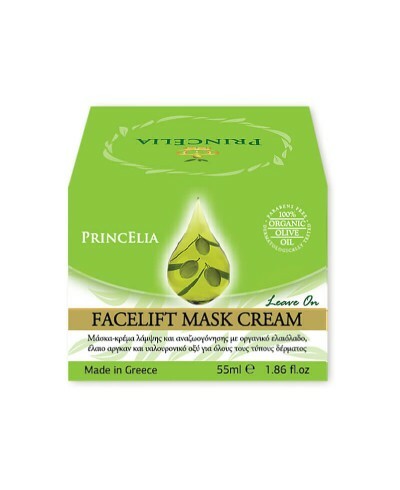 The organic olive oil is combined with powerful antioxidants that bind free radicals whi..
FACELIFTLuminous & Rejuvenating face mask cream for all skin types with organic olive oil, argan oil and hyaluronic acid A refreshing face mask enriched with a biopolymer from cassava which offers immediate and proven anti-wrinkle and tensor effect. Other natu..
5’ MIRACLE MASKFacial mask with organic olive oil and Ginkgo biloba for all skin types Its excellent ingredients create a protective veil on facial skin offering radiance, revitalization and a direct smoothing result. 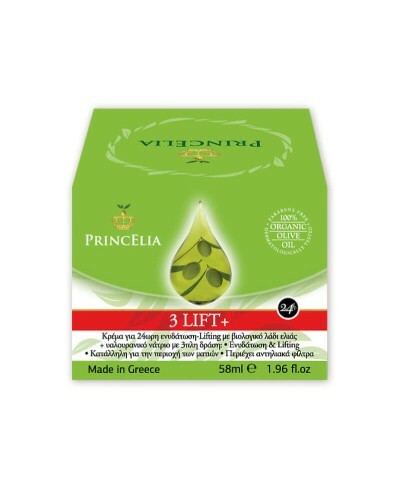 The organic olive oil, rich in antio..
TIMELIFTLifting cream organic olive oil and 2 types of sodium hyaluronate Restoration and enhancement of the skin, smoothing fine and deep wrinkles. Thanks to its 2 types of sodium hyaluronate, it offers hydration, elasticity and skin restructuring. The combined a..